Officials say the new policy, which the government of Armenia has committed itself to, that is, switching to a stricter regime of saving by forming an efficient administrative system, including cutting on business trips, service vehicles, repairs, is already in progress. They say it is aimed at meeting a vision of “becoming a more effective state,” which has been outlined by the Prime Minister in his statement earlier this month. On May 12, Prime Minister Hovik Abrahamyan said that April’s four-day war with Azerbaijan in Nagorno-Karabakh forced the government to revise its work, ensuring in particular the fight against corruption and combat readiness. The Prime Minister said that Armenia’s resources are limited, but problems can be dealt with introducing more improved models of management and accelerating the implementation of decisions that have already been made. On Thursday, the Minister of Labor and Social Affairs Artem Asatryan said that so far only 41 of 145 cars were reduced, among them were those which had not been in operation. They have also passed on electricity saving mode, that is, they do not spend electricity unnecessarily. “It has always been so, and I think everyone should do at their job as they do at home,” said the minister. On Thursday, Economy Minister Artsvik Minasyan said that nine cars were reduced in his ministry. A working group has been established for the reduction of workers. The group is studying the structure and functions of the Ministry. “This week, 30 more cars have been reduced. At the moment, the number of vehicles directly and indirectly funded from the budget was reduced by 798, while the number of cars used in executive bodies has reduced by 137,” he said. 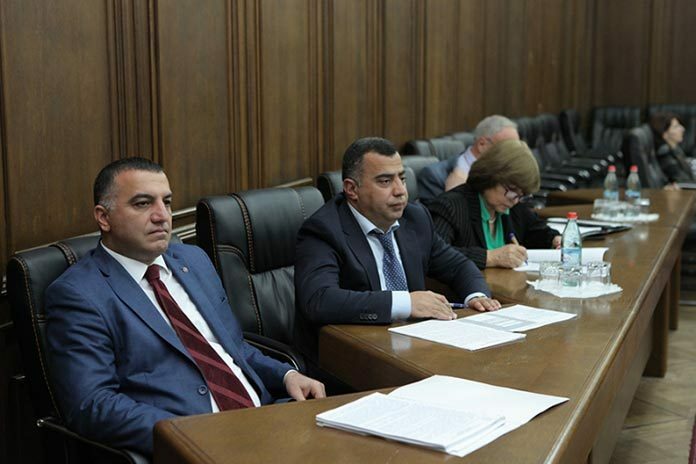 This week, during a meeting with principals of schools of the Shirak province, Minister of Education and Science Levon Mkrtchyan said that they have been planning changes, most of which will start in the next academic year. “Of course, there is a social factor here, especially connected with teachers. There certainly will not be reduction of teachers, but we have a problem, particularly in rural areas that, when someone is left unemployed as a result of staff reduction, of course, it leads to social tension. If you reduce staff you must be able to provide another job for the person who has become an unemployed in the process. This is quite complicated, but we do not have such a question yet,” said Mkrtchyan. Last week, Minister of Health Armen Muradyan talked about an issue of reducing cars in his ministry. He said that the reduction also includes cars, which have been used in provinces since the 1980s. The minister did not rule out that there may be unification of institutions, and added that, however, everything should be done taking into account only qualitative indicators. He noted that the issue of staff cuts is also being discussed, but they will try to make qualitative indicators a cornerstone.